New Delhi: Petrol prices are likely to be increased by Rs1.82 a litre this fortnight as a fall in rupee has increased the cost of imports of the raw material (crude oil). Though the pricing of petrol was freed from government controls in June last year, state-owned oil firms ‘informally’ take directions from the oil ministry. It remains to be seen if the government will concede to the demand of oil companies just before the winter session of Parliament. State-owned oil companies Indian Oil, Hindustan Petroleum and Bharat Petroleum last hiked petrol prices by Rs3.14 a litre on 16 September when the rupee was ruling at about 48 to a US dollar. The local currency has depreciated further and is now trading at over 49 against the American unit. “From today, there are some losses on petrol. 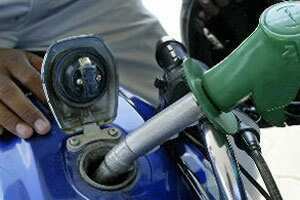 To cover them, we may have to increase prices," HPCL director (Finance) B. Mukherjee told reporters here. He said crude oil is hovering at around $108 per barrel in international markets. At current exchange rate, petrol price of Rs66.84 per litre in Delhi corresponds to about $102 per barrel equivalent of crude oil price. Mukherjee did not say when petrol price would be hiked. “We are in consultations," he said without elaborating. The loss on petrol at present is Rs1.50 per litre and after including local levies, the desired increase in retail prices is Rs1.82 per litre. “Let’s say, we are toying with the idea," he said. “It may happen. We will see."